Note: I wrote this not as a fan of the Patriots but as a fan of a few great lessons from a successful coach and I think that any sales or marketing group leader can gain some insights from this especially if you feel that it’s hard to find great Talent (i.e. since there is always war for Talent, with a capital “T”, irrespective of the state of the economy). I hope you will appreciate the insights from Belichick I mention below and that they will help you recruit great people. Whether you are a fan of the New England Patriots or not, you can learn a lot from their Coach Bill Belichick. How did Bill Belichick build an NFL Dynasty in the era of 1. Salary Cap + 2. Free Agency + 3. Draft picks (i.e. this applies particularly to Patriots who are consistently in the bottom group for draft picks only because they are always in the top group of winning teams)? 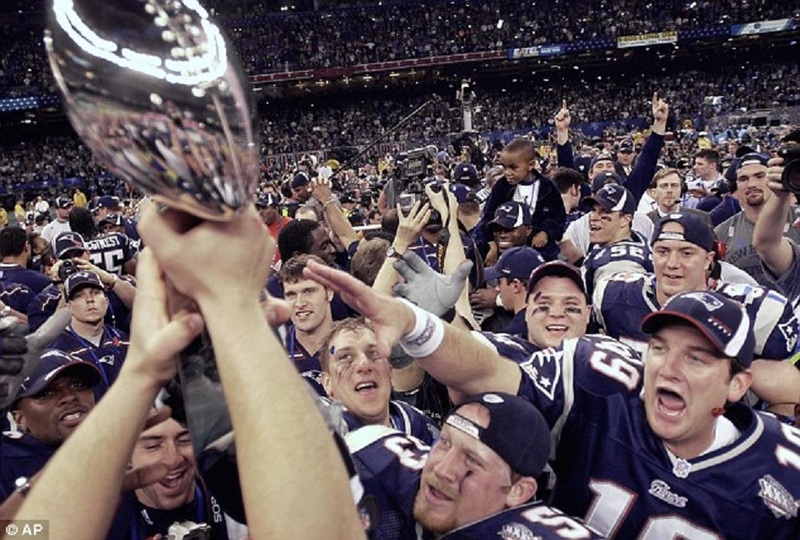 Anybody who follows American football knows that the Patriots have accomplished the impossible – their consistent success goes against all odds. The Salary Cap was introduced in 1994 and was designed to create parity in the NFL to force each team to spend the same amount of money. This way nobody with more money could buy themselves better players. And the Free Agency was introduced in 1993 – and this is how each team loses its best players and can’t easily keep them around forever. Back in the days of the greats like WR Jerry Rice playing with QB Joe Montana – teams like 49ers didn’t have these “parity” factors and could consistently pay and keep great players to achieve long-sustained and dominant success. But not today. Not anymore. Thus today it is impossibly hard to consistently perform at the highest level over the long term. But Bill Belichick has done exactly that. They have achieved a long-sustained, consistent performance of excellence. It’s truly unprecedented and both the performance and the results make it very clear… 5 Super Bowl Championships (and are ready to win – and will definitely win – their 6th Lombardy trophy). 8 total trips so far and going on their 9th trip to the Super Bowl (i.e. that many Divisional and AFC Championship playoffs consistently entered and won). So what is Belichick’s formula for building great teams again and again every year? It’s Bill Belichick’s unique approach to recruiting players. Recruiting is the most important thing for building great teams (it’s the same in the business world and the same for building great sales and marketing teams). Gimmick player? Too small, lacks size and speed? Questions about durability? Just a camp arm? 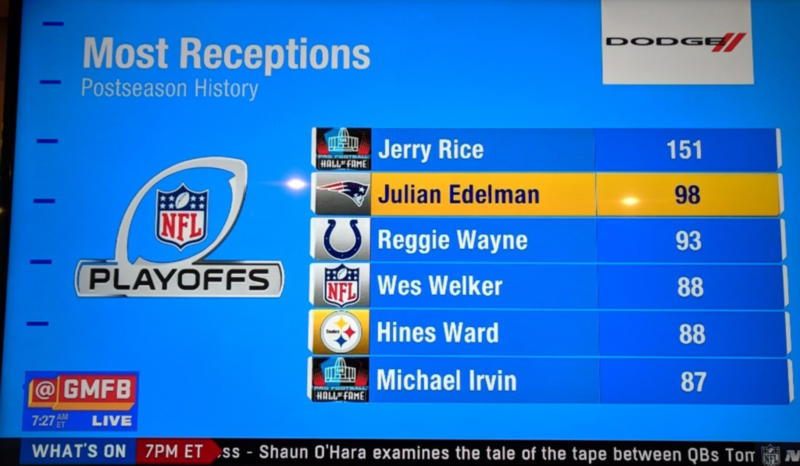 Just watch this video – that’s the greatest catch in what was ranked as the best Super Bowl of all time… and that “gimmicky small player who lacks durability” – that is Julian Edelman! And that’s how Bill Belichick approaches recruiting. He looks to bring in great people and he is not worried about what position or seat to put them in. He will find the right seat on the right bus for them. He just wants to get them first – it’s easy to figure out what they will do later. Talent is Talent and the key is to recruit talented people effectively. (i.e. Talent with a capital “T” is rare so Belichick just doesn’t want to lose it). If Belichick sees “Talent”, he doesn’t waste time over-thinking or waiting too long – he just grabs the Talent and doesn’t lose time. While the competition was wasting time noodling on things and wondering whether there is a fit, Belichick was ahead of them all and just focused on getting talented players to join the team. Talented people are great for a reason and they will be great anywhere you apply them. Therefore, if you Talent and have the right processes to identify this raw talent before your competition can then you are going to succeed in building great teams (and better and faster than your industry competition). All the other teams completely ignored Brady and missed out on the greatest QB in history of the sport (he got to 9 Superbowls which is more than any NFL team, won 5 of them which is more than any QB, got to 40 post-season playoff games which is more than 18 NFL teams, won 29 playoffs which is more than 27 franchises, is the only 41-year old QB to ever be in the playoffs, etc. etc. – i.e. nobody else has achieved these stats in history of QBs) . But why did all the other coaches and team executives ignore him during the draft? Was this an honest mistake or intentional ignorance? Intentional… because they did the very average thing, looked for generic things that others look for, and ultimately didn’t think outside the box. That’s because they didn’t look much beyond what Tom Brady’s scouting report – I mean, seriously – this is what the *experts* were saying… just think about it again for a minute: “poor build, skinny, lacks great physical stature and strength, lacks mobility… lacks a really strong arm… gets knocked down easily”. Maybe this is beyond the scope of this article but I have to emphasize this – there were 6 other Quarterbacks prioritized and drafted BEFORE Tom Brady by all the other teams in that same drafting class. But do you remember any of them? Most people don’t remember any of them. They are all gone and don’t have Superbowl victories or a consistent record of performance. All the other coaches were so focused on the traditional factors and paid so much attention to the generic stuff in the scouting reports that they didn’t figure out how to recruit unconventional raw talent – but Belichick did. See, Coach Belichick proactively looks beyond the generic stuff on the surface. He proactively looks for different things and that’s how he found Tom Brady. That’s Belichick’s formula to recruiting. It actually starts with the correct mindset to avoid outdated and generic recruiting. It’s a frame of mind to proactively recruit by thinking outside the box. Let your company’s competitors recruit like those other NFL teams and their “experts” who completely missed Brady and Edelman (and others). But you need to think like Bill Belichick and start by looking beyond the traditional factors for raw talent, for people who may not look like a fit on paper (and it’s great if your competitors ignore these candidates – it’s better for you)… but you will be seeking something more and outside of the norm that everyone else is applying (i.e. the “typical approach” used by all the companies in your industry). In fact, here is another insights – it gets even more interesting with Belichick and the Patriots because they are proactively looking to find players who are un-appreciated or even underperforming on other teams (i.e. in other systems). Belichick regularly signs undrafted (i.e. “undervalued”) players: Nate Ebner, Matthew Slater, Chris Hogan, Edelman, and the list goes on and on. Belichick also signs players who have fallen out of favor other places, sees great value there, and gives them the opportunity to rejuvenate their careers (Moss, Corey Dillon, Cordarelle Patterson, Chris Long, etc.) And we all know how hard they work for Belichick because he saw the Talent in them and values them. Remember the story of Randy Moss – the Raiders wanted to trade him out and he wasn’t even that great before the Patriots. But Belichick saw the Talent in him, and recruited him – today Randy Moss is one of the best of all time and is enshrined in the Pro Football Hall of Fame. The lesson here is this: when you find great people (and especially if you are good enough to see they are “undervalued”) then they’re going to appreciate you a great deal as their leader (or as their Sales Coach as sales leaders are frequently referred to) and they will be more loyal to you and to your company’s mission – they will ultimately work harder for you and go above and beyond in their duty to perform for you. Now think about this for a moment: Do you look for Talent like Belichick? Are you recruiting like everyone else (i.e. like those other coaches who missed Brady, Edelman, etc)….doing the same thing when it comes to recruiting and yet complaining about the shortage of talent? Belichick has made a successful and consistent system out of it – he has identified exactly these players who then go on to excel as members of the Patriots. Belichick looks for intelligence, hard work ethic, toughness, versatility and dependability. But sometimes it is “what is missing” from this list that really matters – note something important and that Belichick does not look for a player to be really good at one specific thing. But unfortunately, this is how many sales or marketing managers hire. Belichick got Brady because he saw the raw talent and the key factors above and not the traditional and generic factors listed in the Scouting Report. Belichick knew that Brady would perform well despite what other coaches thought and despite what Tom Brady looked like in that photo or on paper (in scouting reports). And this is the same story with Julian Edelman above. Recruiting outside the box and only looking for “great people” beyond the resume resume (or beyond what is on the scouting reports) is not new – Warren Buffett does something similar and only looks for 3 things. Also, Jason Lemkin recruits for sales and marketing similarly – talks about not “overindexing” on things that don’t matter which is a similar way of thinking. A few years ago I wrote “How to Hire Sales Reps: 5 Must-Have Traits to Look For” (this was based on the many things I discussed with and learned from Mark Roberge who was a Sales Management adviser to me) and the key takeaway is that none of those traits are your classic, generic requirements that some companies look for. And “domain expertise” is not a must-have. 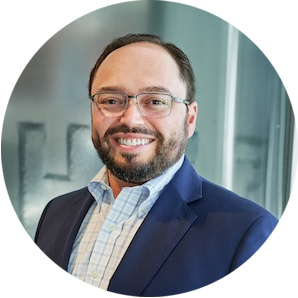 When you are recruiting for sales, are you asking questions that help you determine these traits or determine the quality of the raw talent or are you just asking the same old questions that are more about industry experience or domain expertise? So think about it – we all read all these stories about the “war for talent” and how hard it is to find amazing people but how are you or how is your company recruiting? Is your company recruiting like all those “expert coaches” who ignored Tom Brady and Julian Edelman? Is that how your team picks talent? Is your company repeating the same mistake like all the other 31 teams did in the year 2000 NFL Draft when Patriots recruited Tom Brady? Just think about it – these are professional scouts and coaches who get paid a lot of money to pick the best and build great teams. It’s easy to “hope” and believe that your recruiting process is pretty good – but it’s critical to consider that maybe, just maybe, perhaps yours and other companies have an unfortunate blind eye and we are not really thinking outside the box about recruiting great talent. It’s a possible gap that we should recognize and be proactive about looking for new ways and unique ways to find talent before our competitors do.